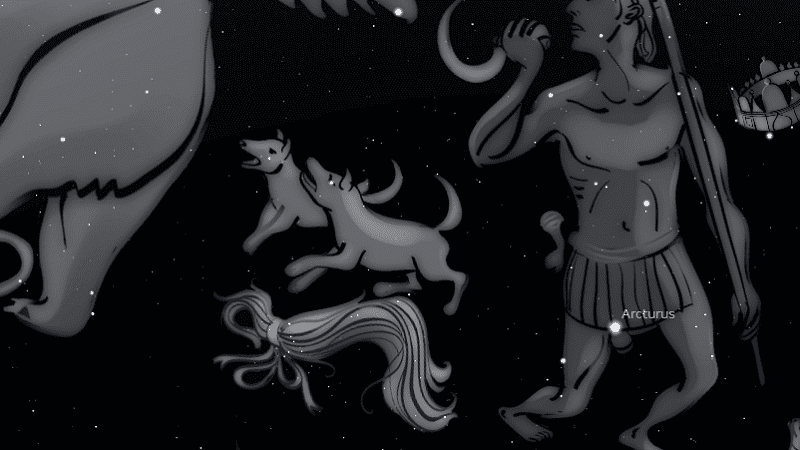 Fixed star Cor Caroli, Alpha Canum Venaticorum, lies in the Southern Hound of the Hunting Dogs, Canes Venatici constellation. The name Cor Caroli means Charles’s Heart , and was named in the 17th century to honor the King Charles I of England who was beheaded in 1649. 1. The Living Stars, Dr Eric Morse, 1988, p.51. 2. Fixed Stars and Constellations in Astrology, Vivian E. Robson, 1923, p.34.